Cuba will be present at the 28th Lisbon International Tourism Fair BTL 2017, to take place March 15-19, as Portugal continues to be an important market of Cuba tourism. According to a press release by the Cuban Tourism Ministry, the island will be represented by officials of this economic sector and by Cuban ambassador to Lisbon Johana Tablada. Portugal is an important source of visitors to Cuba with a 74 percent growth in 2016. Meanwhile, are underway to improve the island´s position in that European country as a tourist destination, such as the diversification of tourist modalities of attraction to that market, including scuba-diving, nautical sports, nature tourism, tours of patrimonial cities, cultural sites and participation at international events. 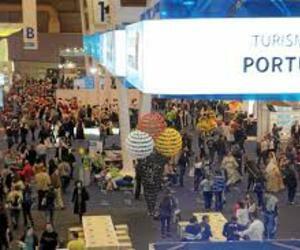 The Lisbon fair will also serve to encourage major Portuguese tour-operators to focus more Cuba, while negotiations will be held to take new actions next year. Participants will update information on new facilities and services and about new business opportunities to be worked out with the island´s Tourism Ministry. Cuba will invite participants to attend the Cuban International Tourism Fair to take place May 3-5 in the eastern province of Holguin, which will be dedicated to Germany as guest country.